How to downsize your home: What steps do you need to take? Downsizing is becoming increasingly popular, especially among the elderly community. In fact, 48% of pensioners — that's 5.7 million people — are considering moving to smaller homes, according to research carried out by McCarthy & Stone. And, this number is expected to rise to more than 11 million by 2036. Why might you want to downsize your home? There are a wide range of reasons why people decide to downsize. We're going to take you through just some of the most common factors that lead people to sell up and move into a small space, so you can decide whether it's something that's likely to work for you. Your house might have been the perfect size for you and your family a few years ago. But, if your kids have now flown the nest, or you simply don't use all of the space you have anymore, moving to a smaller property could be the right step for you. Not only is this likely to save you money on your mortgage repayments, but a smaller house should be much cheaper to run when it comes to the likes of heating. So, if you have more rooms than you know what to do with, downsizing is likely to make perfect sense. Are you tired of having to clean and hoover rooms of your house that you barely even use anymore? By moving to a property that suits your needs better, you can easily shave hours off the time you spend maintaining your home each week. Many people decide to downsize because they want to release equity from their home, especially as they enter retirement. 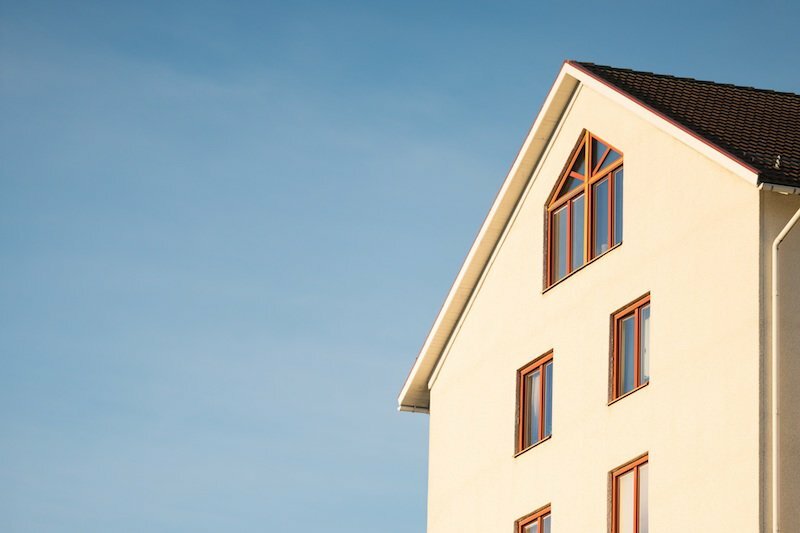 And, selling up to move to a smaller property is usually a more cost-effective option than using an equity-release scheme, according to the Money Advice Service. This is because, as explained by The Independent, you can usually raise more money by downsizing, as equity release companies will typically value your home below its market value. Additionally, a huge benefit is that you'll retain ownership of your property. So, when you pass away, you'll be able to leave it to your family. If you would like to move to a new, more desirable area, but know that you won't be able to afford a property there that's the same size as your own, downsizing can be the answer. It's common for people to take this approach when moving into a city, or to a rural area that's in high demand. If you're planning to move abroad but don't want to totally give up the roots you have in the UK, downsizing can ensure you have an affordable and appropriately-sized base at home. Plus, it's likely to free up some money that you can invest in your adventure overseas. When is the best time to downsize your home? Although there's no right or wrong time to downsize your home, people tend to begin the process when their children have grown up and left home because they no longer require the extra space. Another popular time to downsize is at retirement age. This is when we tend to find that we're rich with assets, but poor in terms of cash. At this point, people tend to downsize to release equity from their home that they can then use to improve the quality of their life or to pay for long-term care they may require as they get older. In general, if you have more space than you know what to do with and are tired of having to spend time, money, and effort maintaining your large property, it might be time to look for somewhere a bit more manageable. What are the steps to downsizing your home? While you might have moved a few times in your life and feel like you have a good idea of what the process is going to be like, it's worth remembering that downsizing is a little bit different. You'll need to decide what you're going to do with everything you can't take with you and consider what your needs might be in later life, especially if you'd prefer not to move again in the future. To ensure you're prepared to make the best possible decisions every step of the way, we're going to explain what you can expect at each stage of the downsizing process. When downsizing your home, it's important that you carefully assess your current and future needs — especially if you're approaching retirement or have already left the workforce. As you get older, you'll be far less likely to move again. So, you should keep in mind that this could be the last home you buy. In our later years, many of us will have mobility problems, which is why single storey properties such as bungalows and park homes are particularly popular among the retired. If there are already signs that you might require more accessibility over the next few years, you might need to look for somewhere built specially for retirees — these properties are likely to boast special features, such as ramps and wider doorways, that you'll come to appreciate more and more as you get older. You'll also need to decide where you would like to live. To do this, you should consider factors like whether you would prefer an urban or rural setting, if you would be comfortable moving away from your current area, and how close you want to be to your family. This will give you a good idea of where you should be looking to buy your next property. Finally, it's important that you think about how far you can downsize without encountering any practical problems. For example, do you have grandchildren who will want to stay with you every once in a while, or do you and your partner prefer to have your own rooms? By assessing certain aspects of your lifestyle, you'll be able to determine how many rooms you need, and how small of a property you'll be able to live in comfortably. When you decide to downsize, you'll find that there are a variety of property options to choose from. Here, we'll outline some of the most popular choices and help you to decide which one could be right for you. If you're looking to downsize because your current home is simply too big for your needs, moving to a similar property that's a more manageable size could be the answer. Consider how many bedrooms you realistically need, and whether you can make certain rooms multifunctional. For example, could you combine your dining and living space? Simply reducing the size of your home can mean it will take much less maintaining, and it's likely to be much cheaper to heat, too. Bungalows can make a great choice when you're looking to downsize, and are particularly popular among the retired community. This is because their lack of stairs means they're especially accessible and easy to navigate, which means they work well for those who struggle with mobility. In addition to this, they tend to be quite compact, so they're easy and relatively cheap to maintain and heat. More than 250,000 Brits live in park homes, and the vast majority of these are retired people who decided to downsize. As they can be bought for as little as £20,000, park homes are a particularly practical choice for those looking to release equity from their existing properties. They make more than financial sense, too. Just like bungalows, they have one storey, making them particularly accessible. And, they're compact, which means maintaining and heating them tends to be relatively easy and affordable. Additionally, park homes sit on sites that are very secure and have a tight-knit community feel — ideal for anyone who's adapting to life outside of the workforce. Park homes as different to bricks and mortar homes: for example, you won't own the land it stands on and will pay certain fees for your pitch on a park home site. If you would like more information about park homes, make sure you read our guide to what park homes are and who can buy one. If you're approaching retirement age or have already left the workforce, moving into a retirement village could work well for you. There are plenty of benefits to this: you'll still have plenty of freedom to live as independently as you like, but the facilities will be designed to make life as easy as possible for you. For example, they'll typically offer services you might need as you grow older, such as housekeeping and visiting hairdressers. Plus, these properties are built with accessibility in mind. When you're downsizing your home, your new property is unlikely to offer enough space to store everything in your current house. So, in preparation for your move, it's important that you have a decluttering session to decide what you will and won't be taking with you. Here, we'll explain what you need to consider, and what the process should look like. Moving is stressful enough without having to buy new furniture for every room of your new property. So, it's always a good idea to reuse the pieces you already have if possible. Of course, your new home is going to be smaller in size, and perhaps the number of rooms, so it's vital that you measure everything up and work out what's going to fit where. You should do this well in advance, too — you don't want to cart your sofa all the way to your new place, discover it doesn't fit, and then have to spend a few weeks sitting on the floor until a new one arrives. When you're decluttering in preparation for downsizing, you should try to be ruthless. Otherwise, you'll end up transferring boxes over to your new house that you'll never open. So, while you should keep anything that you use, see yourself using in the near future, or that means a lot to you, items that don't fall into these categories is likely to be clutter you no longer need. Having said that, it's also worth mentioning that it can be easy to go overboard and get rid of items you're going to need down the line — especially if you've gotten into the mindset of everything just being 'stuff'. But, replacing things that you've thrown out or given away while having a clear-out can get expensive, so it's often best to go through this process slowly if possible. As your move approaches, it might even be worth making boxes up of things you're considering getting rid of but aren't 100% sure about. Then, if you think of any reason why a particular item deserves a place in your new home, or you actually require one of the things you've put in the maybe pile, you can rescue it before it's too late. Once you've divided all your belonging up into groups of things you want to keep and those you don't, you'll need to decide how you're going to get rid of any unnecessary clutter. Of course, anything that's past its best or beyond repair can be thrown away, but it's better to look for alternatives where possible. If you don't have enough time to find individual homes for all of the items that are still in good condition, you could save them from going to the landfill by packing them up and taking them to your local charity shop. However, it's worth keeping mind that most charity shops have certain rules about what they will and won't accept, so it's best to call in advance to check. But, one advantage of going down this route is that a lot of organisations will pick up your donations, which saves you a job. Alternatively, if you have any appliances that work good as new, clothing that's in good condition, or furniture that isn't going to fit into your new place, why not look at selling these things on. Not only will this get them out of your house, but you could make some pocket money too. Here are just some of the options you have when it comes to selling your clutter. If you have any items that you know will garner at lot of interest — pieces of designer clothing or a recognisable antique, for example — it's likely that these will sell well at auction. Of course, you can take your items along to an auction in person but, these days, an increasing number of people choose to do business online. This is because it's very easy to do and the fees tend to be lower. eBay is arguably the most popular auction site and will allow you to access a huge audience looking for items like yours. Once you've signed up, you'll be able to start selling straight away. Just ensure you also set up a PayPal account so buyers can make quick, easy, and secure payments. Listing sites are similar to auction websites, although they tend to be used for larger items like sofas, dining tables, and chests of drawers. This is because they allow you to set your location, so you can reach people in your area who are willing to pick your furniture up, or have it delivered. Unlike auction sites, listing websites allow you to set a price that you would be happy to sell your pieces for. The selling process can also be slightly more complicated, as this will usually have to be organised between you and the buyer over the phone or via email. Gumtree and Craigslist are the most popular websites of this kind and are typically free to use. If you decide to use any other listing websites, it's vital that you keep an eye out for any hidden costs. If you have clothing that's in good condition — or, better yet, that still has the tags on — consider selling these pieces on a specialist clothing site. There are so many people out there looking for a bargain, it won't be long before everything has been taken off your hands. If you shop at trend-led high street stores and your sense of style is quite young, Depop is the perfect place to list your clothing. All you have to do is take photos of all your clothes, write short descriptions, and set a price as well as postage and packaging charges. Then, people will start buying your items, or making you offers. Alternatively, if you want to get rid of lots of clothes at once, you could opt to use a service like Cash4ClothingUK or Enviroclothes. These organisations will take large volumes of clothes off your hands and typically pay you by the kg. While you won't make as much as you would by selling every piece separately, this is a great way to make money and declutter your wardrobe in no time at all. If you're looking to get rid of a lot of items at once, cash-for-clutter sites might be the best option. They'll typically pay for collections of CDs, DVDs, games, books, and more, so make the ideal choice if you're looking to make some cash from your belongings but don't have the patience to list all of your bits and bobs online. To make the task of getting rid of all your bric-a-brac even easier for you, many of these services will pick your items up for free. If you're interested in going down this route, check out Music Magpie and Zapper. When you're downsizing, the process of moving will differ depending on what kind of property you're planning to move in to. If you're planning to buy a smaller house, flat, or bungalow, the process of making the purchase won't be much different to when you've bought property in the past. However, things will be a little bit different if you decide to move into a park home or retirement village. When buying a park home, you'll first have to decide what site you would like to live on. There are parks scattered throughout the UK, and you can get an idea of just how many you can choose from by browsing our list of GoldShield-registered parks. Once you've chosen a park you would love to live on, you can start the process of buying your park home. Some sites will already have homes available for you to buy but, if you've picked a park that has empty plots, you'll have more freedom to go straight to a manufacturer and have a bespoke home built to suit your needs. Once you've chosen or designed your home, the site owner will confirm the price and arrange the likes of transportation, pitching, and connection to utilities. If you opt to buy a pre-owned park home, you should only be dealing with the person who currently owns the home in question, and the site owner shouldn't be involved. When you decide to go down this route, we would always recommend seeking the help of a specialist solicitor, as they'll be able to ensure that all of the necessary boxes are ticked during the buying process. It's also a good idea to have a survey done, as you would with a traditional house, as this will help to identify any existing issues you'll have to deal with once you own the home. If you would like more in-depth information about the process, be sure to check out our guide to buying a park home. If you've decided to move to a retirement village, you need to choose which facility you would like to live in first. Then, you'll have to decide which property within that village you like the best. As retirement accommodation is in high demand, it's important that you start looking well in advance. The team working at each village you look at will be able to help find the best property for you on site. Moving to a smaller property can take some getting used to — especially if you're moving somewhere quite different, like a park home or retirement village. However, there are some ways to make the process easier for yourself. We're going to share some tips that will help you to do just that. Before you move out of your existing property, try to find out what gives your property its homely feel: for example, do you always burn a particular scented candle, or is there a meal you cook quite often that you could make the first night after you move? If you think hard enough, you'll be sure to come up with something you can do to ensure your new place feels like home from day one. It's also important that you unpack your clothes and hang them in your wardrobe as soon as you can. If you leave your clothing in boxes for too long, you'll start to feel like you're living out of a suitcase like you do on holiday. So, to help yourself settle in, prevent this from happening by putting filling your wardrobe and drawers at the top of your to-do list. There are plenty of other things you can do to help yourself feel at home. Get out and meet the neighbours, make sure the décor reflects your personal taste, and display all of the things — like ornaments, books, and paintings — that you had on show at your old place. Soon, your new property will truly feel like your own, and you won't even notice that you have less space to play with. It's likely you'll be moving a lot of your old furniture into your new space but, as you'll have less room to play with, it might take a while for you to work out where everything will fit. So, it's important that you're prepared to rearrange things a few times once all of your furniture has been moved in. And, don't expect to be happy with everything right away — getting things perfect will take time. If possible, once you've moved in, invite your friends and family for a visit. If you enjoy hosting, you could arrange one big housewarming, where everyone can come and see your new place at once. But, if you prefer quieter affairs that allow you to speak to everyone properly, you could have smaller groups around for dinner throughout the first few months after your move. Having people you know and love in your home will go a long way to making it feel more like your own. While downsizing can make practical and financial sense, it can also be quite stressful — especially if you're moving out of necessity, rather than choice. But, if you're well-prepared, you'll find the process a lot easier. Take all of the tips we've offered on board, and be sure to carry out plenty of additional research to ensure you're making the right decision for you.